One of Midnight Farm's new experiences is the driving experience. 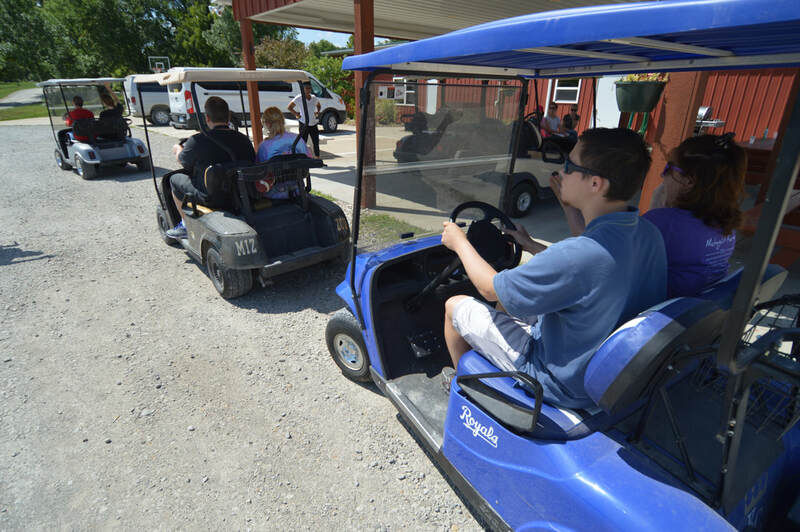 Consumers can drive and ride in golf carts around the arena and throughout Midnight Farm's road and trails. Driving lessons are offered to consumers enrolled in the program. 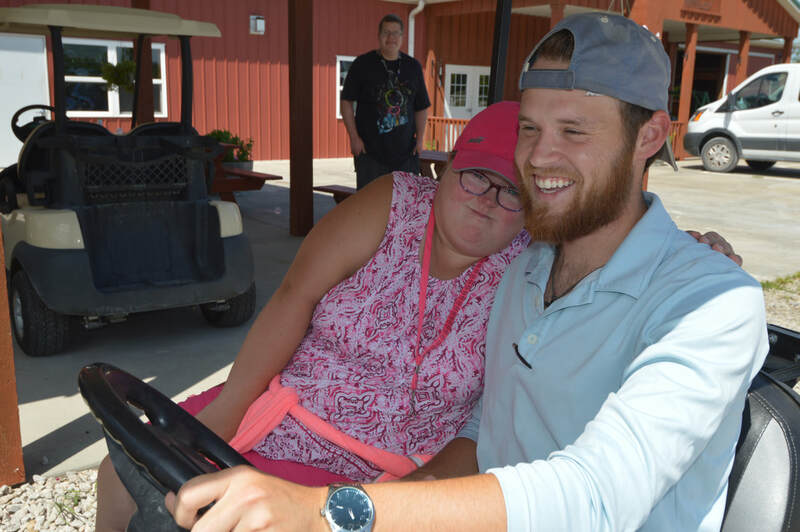 They learn how to drive in the arena and after earning their "CLO driver's license" they can operate the golf carts on the trails. 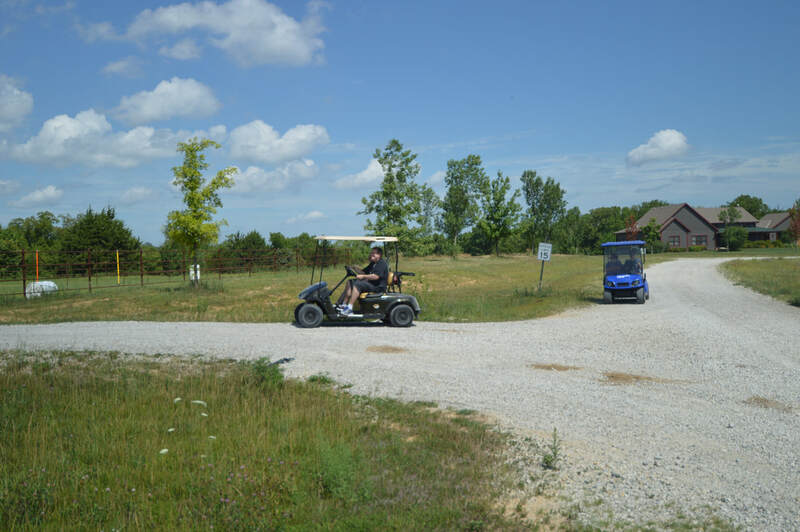 We also offer golf cart designed obstacle courses for further driving skill development.